A Word every day to get you on your way! Here is the Daily Dose for Thursday, April 11, 2019. I think reality television has had a terrible effect on the way that we see life. Anyone that has watched an episode of any reality television show knows that every episode is filled with drama. There is always some fight, controversy, major life and death decision or level of drama at work every time you tune it. Because we have seen so much of this on television, we begin to look at our boring, humdrum, lives and feel like they are not measuring up. There is no daily drama. There is no overwhelming excitement to get worked up about on a regular basis. So we begin to think that our lives are not living up to the excitement that is all around us, not realizing that there is a blessing to boredom. Often what we fail to realize is that boredom can be a good thing. We sometimes fail to realize that we sometimes are bored because we are not going through anything right now. We are not in peril, danger or drama and everything is just fine. And sometimes fine, is good enough. Think of the last time you were having an exciting and drama-filled time in life. Your prayer was Lord save me from this. Now that you’re not having issues you’re bored. So which one is it going to be, Lord get me out, or Lord keep me safe? Friends, there is a blessing in boredom. Sometimes you have to remember that the Lord’s blessing to you is that He is keeping your enemies away from you, steering you free of drama and keeping everything on an even keel. What you have to decide is if you want to accept the blessing of boredom. Here is the Daily Dose for Wednesday, April 10, 2019. Have you ever had a song stuck in your head? For me, that song right now is Baby Shark. If you have never heard of Baby Shark it simply means you don’t spend a lot of time around children because if you do you are well acquainted with Baby Shark. It is a simple song, with a catchy tune and because I have a toddler I hear it all the time. ALL THE TIME. It has been played so often in my home, in my car, and at my son’s daycare that it just plays over and over in my head now. The problem is, Baby Shark is not my song. Actually, I can’t stand it. Baby Shark is just the song that is stuck in my head because I have heard it so many times. There are times in life that we have heard a song so often that it gets stuck in our head and we start believing it is our song. The song could be I’m not good enough. The song could be, I’ll never amount to anything. The song could be, I’m not worthy of being loved. That song may have been played for you so often that it got stuck in your head and you started singing it, but it is not your song. When the wrong song is stuck in your head you have to start playing new music and singing a new song. You have to find YOUR song. The song that reminds you that you are blessed and highly favored. The song that reminds you that your past is not your future and the best is yet to come. 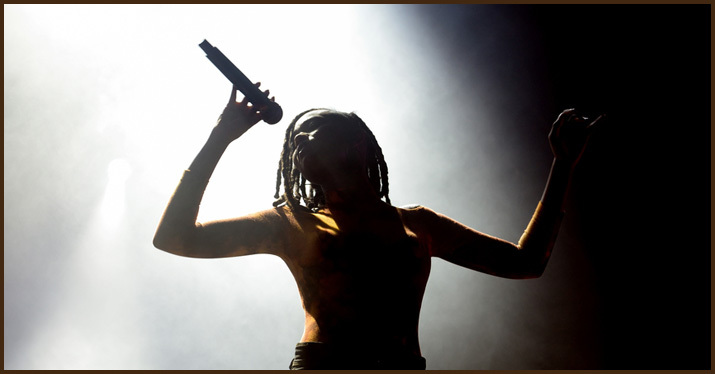 You have to find that new song and sing it relentlessly until it drowns out the old song and takes its place. Friends, today is the day to change the tune. Today is the day to let God put a new soundtrack to your life. You see before you were born, God had shaped a future for you. He shaped a future that would lift you up and not tear you down. He shaped a future that would have some ups, and some downs, but would make you an overcomer if you just hold on to His hand. So today, let him put the song in your mouth that will lift you up, push you forward, and remind you that you are a child of the most high. Its time to drown out the old song, and sing a new song. Here is the Daily Dose for Tuesday, April 9, 2019. Many people have a safe deposit box. It is the place where they put special things for safe keeping. They may have the family jewels there or perhaps a stash of cash or maybe even some important papers. 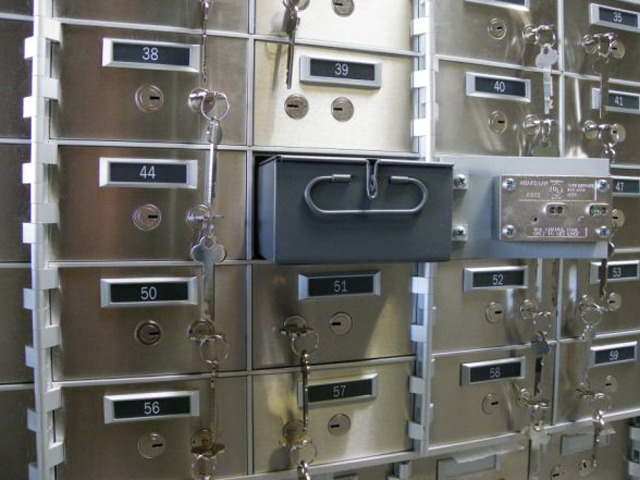 The point of a safe deposit box is that it is a place where you can put things that mean a lot to you and are important so that you can make sure that nothing happens to them. But where do you put the important things that won’t fit in a bank vault? One of the most important things we can have in life is hope. Hope is expectation, desire, and trust all balled into one, for a future that has not yet come. Hope is the thing that keeps us going in the darkest hours because it allows us to know that there is something after this. Hope is the thing that gives us confidence in times of confusion because it allows us to know that the clouds will part, and things will eventually clear up. With something as powerful and precious as hope you can’t just put it anywhere. A long time ago, I decided to put my hope in God. I placed my hope on deposit with Him because he promised he would never leave me alone. I placed my hope in Him because He promised he’d always be by my side ensuring that I would neither want or need. I placed my hope in Him because he promised that he’d bring me peace, protect me from my enemies and if necessary make a way out of no way. Because I put my hope in Him, it allows me to face trials, unusual circumstances and setbacks always knowing that there will be better after this. So I sleep well at night because I know where my hope is and that it is on safe deposit. Here is the Daily Dose for Monday, April 8, 2019. If you have ever been in a long distance relationship, you know that they can be very difficult. You think you have found the perfect person; they just happen to live a long way away. But of course, true love never fails, so you decide to give it a go. You make the decision that you will do whatever it takes to make the relationship work. If that means buying bus tickets to see each other every couple of weeks, so be it. If that means giving up sleep because they live three time zones away and that is what you have to do to keep the relationship going, not a problem. You will do anything that you have to in order to make it work right up until you don’t feel like it anymore because it is just too much. In every long distance relationship there comes a time when someone has to make a move. For the relationship to grow, someone will have to make the decision that being closer is important enough to do something about. That means someone will have to be so committed to the relationship that they will pick up their life and change virtually everything to be with the other person. The challenge of who is going to move often means that the relationship falls apart because it is hard to decide who is going to make the move. Who looks for a new job? Who sells their home? Who moves away from their friends? Who makes the move? Luckily with God that is never an issue. While we may from time to time feel far from God, He is always closer than we think. You see, two thousand years ago God made the decision that He loved you so much and wanted to be in relationship with you so badly that He wrapped himself in human flesh and came from heaven to earth to walk with us, be among us, and ultimately die for us so that we could be with Him. If you want to close the distance between you and God, He has already made the first move. All you have to do is decide to let Him in. God is never far, and He’s never stopped loving you. 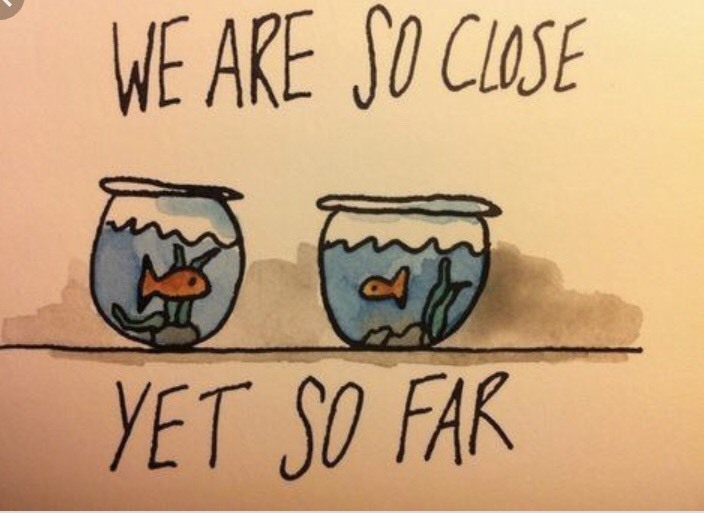 So don’t let it be a long distance relationship, He’s always closer than you think. Here is the Daily Dose for Friday, April 5, 2019. I loved elementary school growing up. Some kids had to be pushed out of bed in the mornings, I was always up and ready to go. For me, school was this wonderful place of learning and possibility, but most importantly, it was where my friends were. Every day we would get together and talk laugh and learn. We would enjoy lunch and recess and looked forward to gym class on a weekly basis. Every day in school was great except one, report card day. Report card day was the day that we all dreaded. 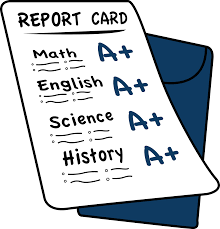 On report card day we would be given a small card that listed all of our academic subjects and our behavioral areas, with a grade next to each one. That was the day that you would find out if you had been excellent, good, satisfactory, needed improvement, or unsatisfactory. What was worse is that we were not allowed to keep the report cards to ourselves. We had to show them to our parents so they could find out how we were doing. You see, no matter how much fun we were having there was going to come a day when we would be examined for all we had or had not done. While I haven’t gotten a report card in a while, I do remain cognizant that there is another report card on the way. You see I realize that the Lord is always watching. Every day, every choice I make is going onto my permanent record with God. He is not watching to judge me, but certainly to push me to be my best. Pushing me to make sure that I am living a life that brings Him honor and glory. So every day while living life, remember there will be a day that God will get your report card. Make sure it is one you can be proud of. Here is the Daily Dose for Thursday, April 4, 2019. There is an interesting trick that the enemy plays on people. He convinces us that just a little won’t be too bad. You see what the enemy knows that we often miss is that problems rarely start big. They start small and grow from there. You see if the enemy told you how big the problem would be it would scare you off, so he starts you off small. The idea is just to get you on the road. The first drink doesn’t turn you into an alcoholic, it just gets you on the road. That first hit doesn’t make you an addict, it just gets you on the road. What the enemy knows is getting you on the road is the first step to stealing your destiny. The best way to protect yourself and your future is to not get on the road in the first place. Too many times we overestimate our strength. We think that we can just do a little and turn back. We think that we can dabble, and not get caught up. The problem is, that is exactly what everybody who has ever gotten caught up thought until it was too late. They had gone too far for too long and all the willpower in the world would not be enough to save them. Looking back they always think, it wasn’t supposed to turn out this way. Friends, you have to protect yourself. Protecting yourself means not getting started on the road to destruction in the first place. 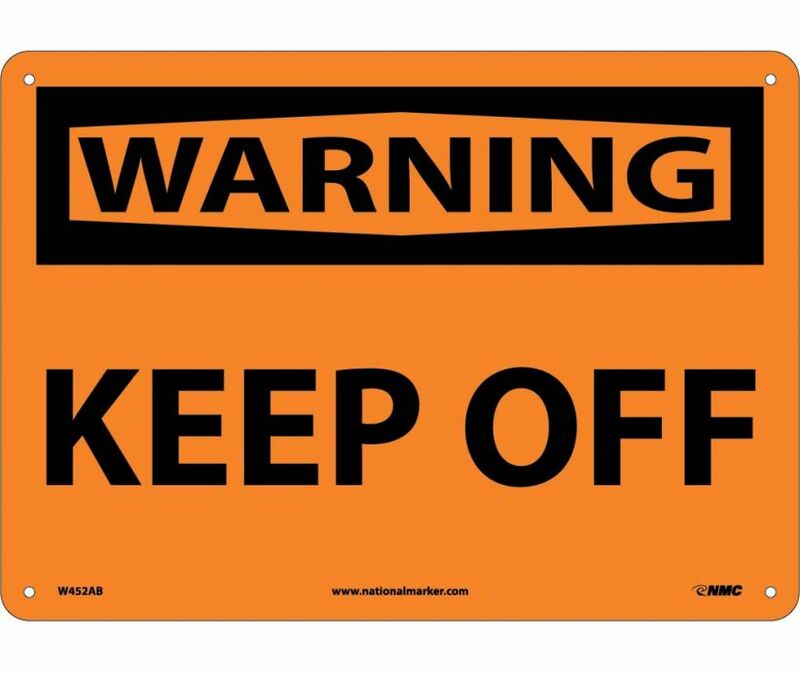 Not getting on the road means that you can’t flirt, dabble, or fiddle with dangerous situations. You have to make the decision that you are going to stay away for your own good. The simple fact is, you can’t go down the road to trouble if you never get on the road. Here is the Daily Dose for Wednesday, April 3, 2019. I think social media gets a bad rap. Every day there is someone else speaking of the ills of social media. They talk about how social media tears people apart. They talk about how someone posted a subliminal tweet about someone else or how they were triggered by something that was said or posted on this or that social network. People have gone as far as to say that social media should be abolished because of all the harm that it does to people. What I have found about people with these complaints is that they spend way too much time on social media. You see there is a trick to making social media, and life for that matter, work; stay out of the comments section. It is in the comments where all the trouble happens. There are some people who get on social media and live their lives just to pick a fight. They find a post and then jump into the comments to say their piece. There they can find people to fight with, argue with and go on and on. Then other people read the ongoing fight and jump in with their opinions, and the war rages on. But the thing is, the comments section on social media is not mandatory reading, and the comments of people about you in real life is not mandatory listening. You can skip over them and avoid all the fights, issues, and the drama that goes with them. The thing is, we get to choose the fights we engage in. When we jump into the “comments section” on social media and in real life, we have decided to be a part of the fight. We have decided that we have a side and an opinion and we are willing to fight to defend it. The only problem is, there is no prize for winning the comments section. You may get a few likes on social media or the feeling of having “told them” in real life but you also drove up your blood pressure, lost sleep and sacrificed your peace. If you want to live a peaceful life and avoid a whole lot of drama, STAY OUT OF THE COMMENTS SECTION.